Application must work on all Android devices, if not let me know. 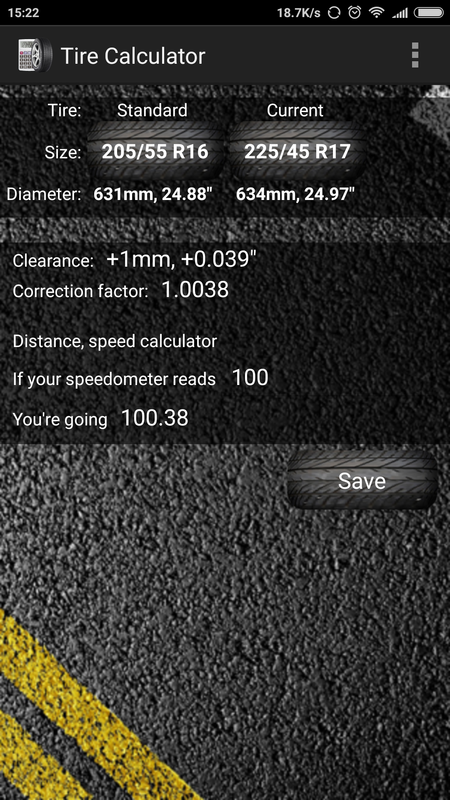 Use the calculator to see what happens to your speedometer reading when you change the size of your tires and wheels. 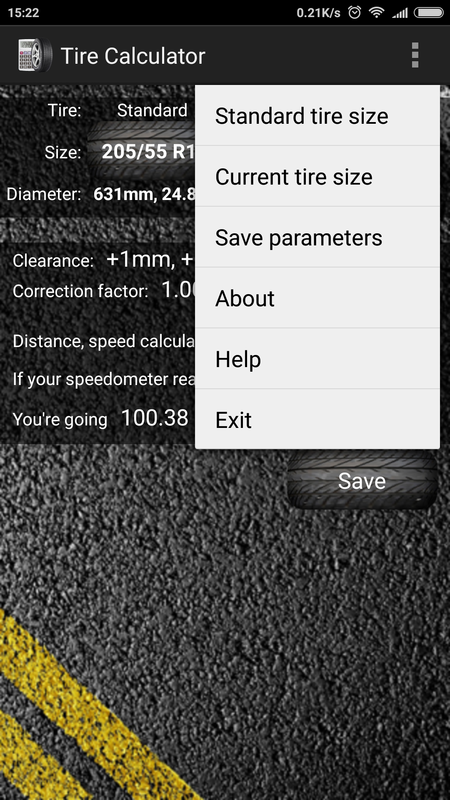 This program is designed to help those of you who want to change the size of your wheels and/or tires. 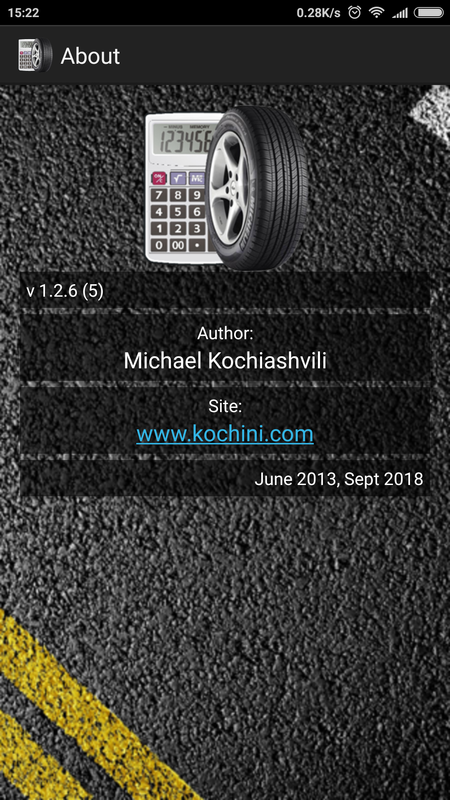 Hopefully, it will help you to sort through the seemingly infinite number of wheel and tire combinations. 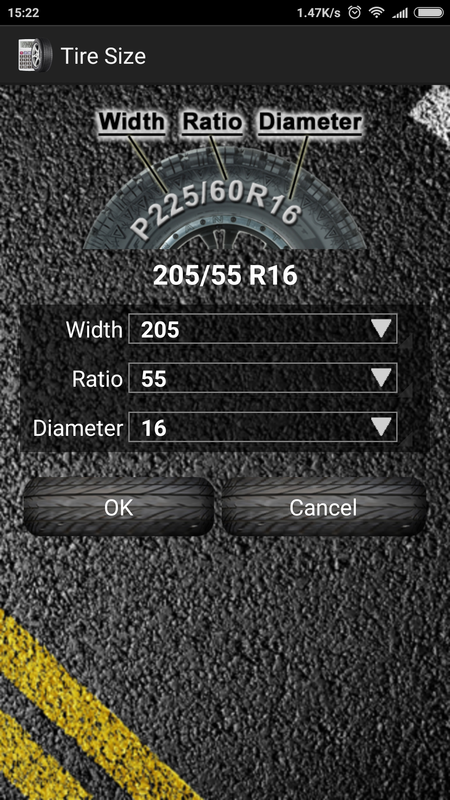 Note: Dimensions displayed are calculated using industry standard tire sizing specifications.